Purex Dirt Lift Action Plus Oxi and Zout Stain Removers Detergent Fresh Morning Burst offers a hypoallergenic formula with a light, fresh scent. 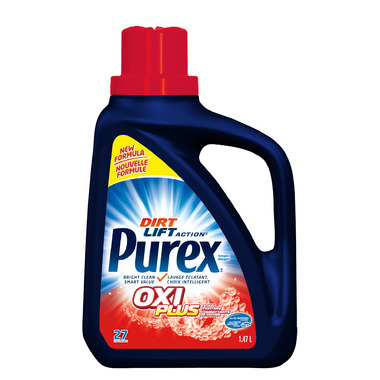 Purex with Oxi combines the proven performance of Purex detergent with the dirt lift action and Zout stain remover. This powerful combination works to get tough stains out the first time. Try it on your tough stains including grass, chocolate, and tomato sauce.